Posted on 22, August 2016 by EuropaWire PR Editors | This entry was posted in Awards, Construction, Germany, Real Estate, Switzerland and tagged Lindner Fassaden, Skyscraper Hard Turm Park, Zurich, „facade industry’s Oscar“. Bookmark the permalink. 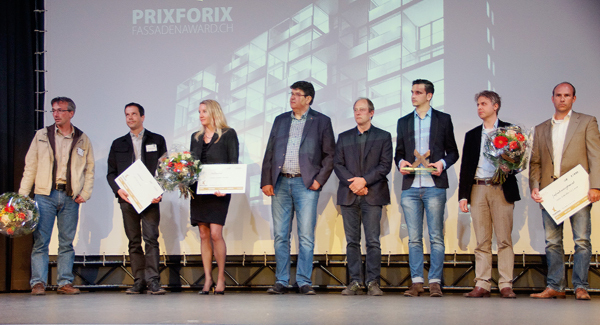 ZURICH, 22-Aug-2016 — /EuropaWire/ — The Swiss Central Windows and Facades awarded the „facade industry’s Oscar“ for the third time in 2015. Three of the 26 competitors convinced – amongst others the Lindner Fassaden GmbH. The company won the third place of the coveted architecture and exterior design prize of Switzerland with the realization of the outer casing of the skyscraper Hard Turm Park in Zurich. The lower part of the building is used as a hotel and offers apartments in the top floors. It has been completely encased with facades of Lindner Fassaden GmbH: 12.800 sqm of window constructions, sleek metal facades, design sheets in trapezoidal shape and much more. The extensive and especially for the project developed alcove windows with their anodized aluminum claddings are considered to be the special characteristic of the Hard Turm Park. Hardly visible sun protection is integrated within. The interior wood cladding of the niche windows adapts optically to the high-quality apartments and the hotel. The large and numerous lift-slide- and ribbon windows between them ensure best lighting conditions within the room. Lindner did not only install the entire facade for the Hard Turm Park but also 1,800 sqm of wood-loggia elements and the interior cladding for the alcove and ribbon windows. The concentration of these individual services “in one hand” simplified the general coordination for the building owner and the responsible architects and guaranteed thusly an optimal and on schedule construction progress. The jury especially complimented the facade’s plasticity which convinces due to its authentic appearance.